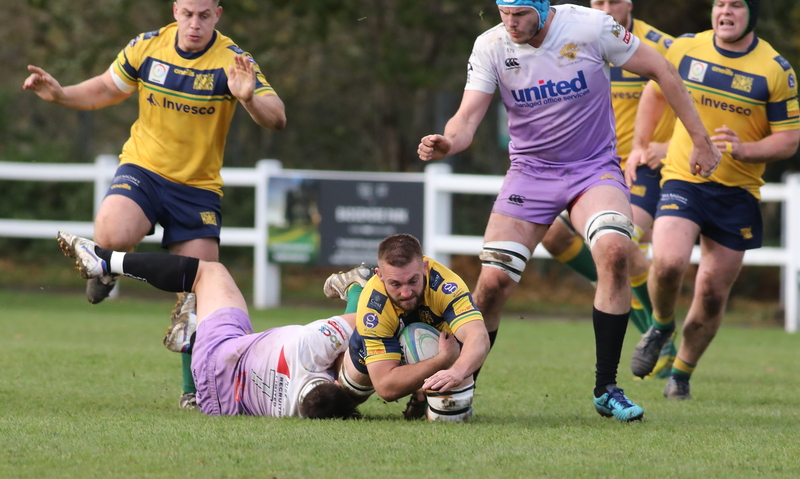 Henley Hawks back-row Tom Hall says the “professionalism” of the team is the reason why they are currently flying in National Two South. The men from Dry Leas are second in the table following a seven-game winning run, which began at the end of September. And Hall has put their excellent form down to the culture and ethos at Henley. “We have kind of had a restart this year and we have completely changed the coaching set-up which has seen us grow a lot as a team,” Hall said. After two tough seasons at this level following relegation from National One in 2016, Hall admits it is refreshing for his side to be challenging for promotion this year and believes the club have a clear vision under the guidance of Nigel Dudding and Luke Allen. “This is my fifth season now at Henley,” added Hall who made his 100th appearance for the club earlier in the campaign. “I have been through the ups and downs! We did struggle in Nat One and came back down. We had two real turbulent years battling it out in Nat Two again. “I think we did have a big turnover of players and we did lose a lot of consistency during that time. It is not about pointing fingers anywhere, but it is just the fact we lost focus and we didn’t really have a goal or a drive of where we wanted to be. “We have kind of come away from that, refocused and decided we wanted to build to be a Nat One side again. What happened in those two years was that we didn’t change anything. Henley are certainly heading in the right direction as things stand and they enter the final weekend of November firmly in the promotion race. At the beginning of the season, Hall revealed the club had targeted a top five finish, but following their tremendous run of results, he thinks the Hawks may have to reassess their aims for this campaign. The former England Student added: “I think [promotion] is one of those things which is bubbling in the background. We would have been chuffed with a top five or top three finish heading into the season, but as our potential has come to fruition, we are now eyeing up the top prize. “I would be lying if I didn’t say we want to be in top spot going into the Christmas break. All we can do is control what we do. “We can go out and try and get a five-point win or a four point win every weekend up to Christmas. All we have to hope for is that Rams RFC slip up at some point and when they do, we will be there to take over! 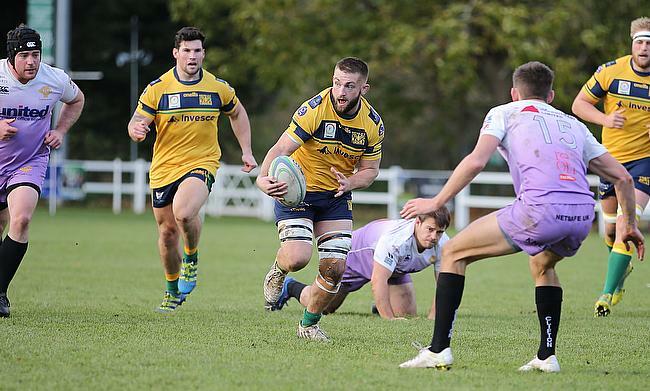 Hall is referring to Henley’s huge home clash with promotion rivals Canterbury this weekend. The City Men arrive at Dry Leas just two points behind their hosts after a run of four straight victories. Andy Pratt’s side have propelled themselves into the frame for a top two spot, but Hall feels that a victory in Round 12 for Henley would send a huge statement out to the rest of the league. “We have done our analysis and we just think it is going to be a really combative 80 minutes,” he said. “I think the team that controls the game the most, plays in the right areas of the pitch and ultimately, makes less mistakes will come out on top. “I think it is going to be a real chess match and we have talked about just being patient for the full 80 minutes. Opportunities will come.